When we were in Puerto Vallarta on our whale watching excursion, we had some might good salsa and guacamole with chips. As my friend, Dalila who comes from Guatamala, says, "It's all about the cilantro." Here's a simple salsa recipe that is similar to the one we enjoyed in Puerto Vallarta. Just remember when you are dicing the peppers to keep your hands away from your face. Nothing burns more than chili pepper juice on your mouth or in your eyes. 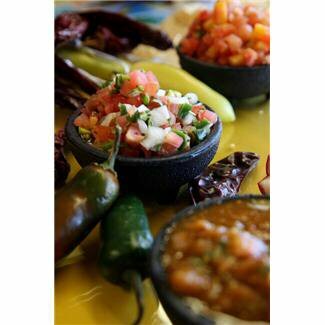 Let your salsa set for an hour or so before serving. The flavors will have a chance to blend.